Time to Ban Barbaric Cultural Practices and Lederhosen? In the final stretch of the Canadian federal election we have been plunged into a discussion about cultural practices and what people (women in particular) should be allowed to wear. Our current (and hopefully about to be former) Conservative Prime Minister believes that the government should tell women what to wear. He believes that women who wear a niqab should be prevented from becoming Canadian citizens, even when they have completed all of the steps, including removing their niqab to prove identity to a female immigration officer. Apparently a total of two women have ever opted to wear a niqab when reciting the citizenship oath during the citizenship ceremony. Not exactly a burning issue and yet Stephen Harper has decided to make it an election issue. Or perhaps more accurately, an election distraction. He doesn't want us to talk about the stagnant economy, his former colleagues and appointees convicted and on trial, refugees, his secretive, manipulative style of government, income inequality or anything to actually support women in this country. I kind of can’t believe that I feel the need to write this post. As some of you know we are having an election in Ontario. For those of you who don’t know, Ontario is the province with the largest population in Canada. We have a parliamentary system in Canada so we vote for our local representatives – in this case, Members of Provincial Parliament or MPP’s and the person who controls the majority of the seats in the legislature – typically the leader of the party that wins the majority of the seats – serves as the Premier until the next election. We have a multi-party system in Ontario and Canada, although typically there are only three that secure enough votes to win seats in the legislature, The Progressive Conservatives (Conservatives nationally), Liberals, and the New Democratic Party (NDP). 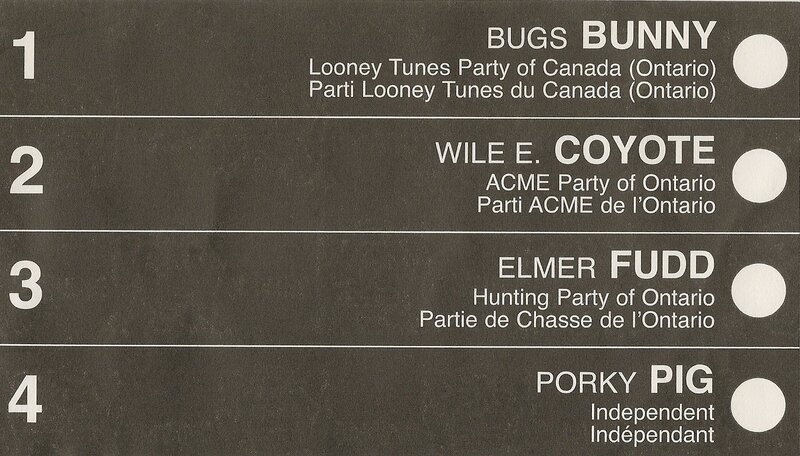 The outcomes of our current provincial election is a bit of a toss up. Polls are showing a virtual tie and depending on the pollster, the party in the lead varies. I have heard and read comments from a number of people stating that they are considering not voting or declining their ballots this time around because they don’t know who to choose. This is a lazy position to take. Marking an X beside your preferred choice is the easy part. Making the decision about where to put that X requires some thought.